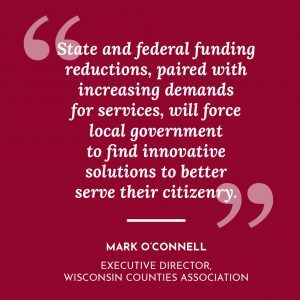 Employees who are currently in, or aspiring to, leadership roles (e.g., department heads); elected and appointed officials; and others who want to become more effective leaders in local government. 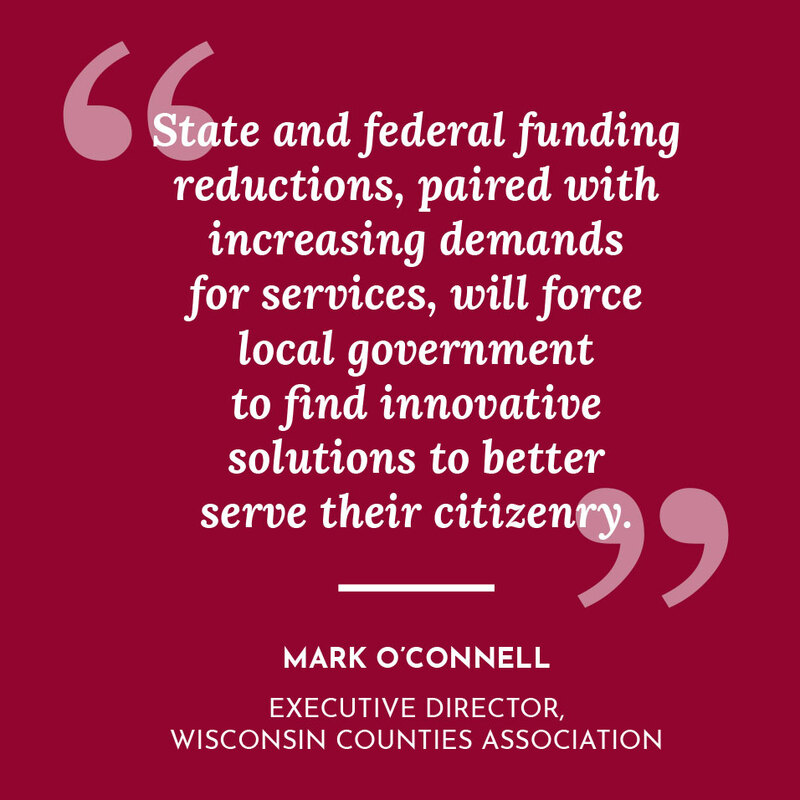 While the program emphasizes county government leadership, those serving in other levels of local government will find value in the program and are welcome to apply. Become part of a network of dedicated local government leaders. The program draws upon the knowledge of participants so that you can learn from the experiences of other local government leaders. Apply what you learn to current and relevant issues facing your organization. The program helps you explore and find solutions to generate results. The program runs January through August and includes four two-day workshops (held at the Holiday Inn in Stevens Point from 10:00 a.m. Thursday through noon Friday), group conference calls, and self-study modules. Self-study modules are accessible online and prepare you for in-person workshops. Modules include brief videos, short articles, and other formats relevant to the concepts the program explores. Come to each workshop with an issue or challenge in your department, committee, or local government that you want to address. Workshop activities will apply the skills and tools you’ve learned to your organization’s issue or challenge. To graduate, you must attend two WCA-hosted events. Events you select can include, but are not limited to, online educational events, workshops, and regional meetings. If you are not affiliated with county government, alternative events will be considered. The program cost is $1,200. This includes instruction fees, learning materials, a professional portrait, and workshop meals (Thursday lunch and Friday breakfast). You are responsible for your own transportation and lodging costs, as well as meals not included as part of the workshops. A $150 nonrefundable deposit is required upon acceptance to the program. The remaining fees may be paid in monthly installments. 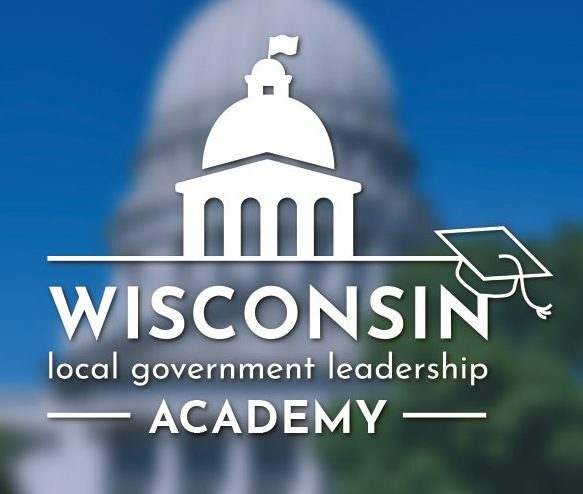 Applications are due by October 31, 2019 for the 2020 Wisconsin Local Government Leadership Academy. The application will be made available online. 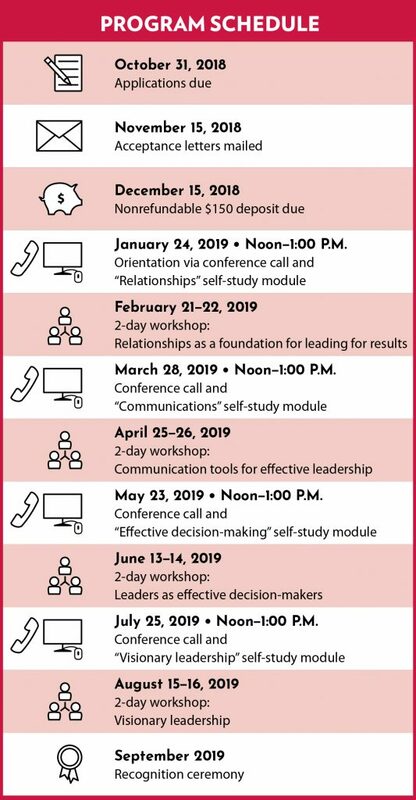 In the meantime, if you would like to learn more about the program give us a call at (608) 263-0817 or email us at leadershipwisconsin@ces.uwex.edu. 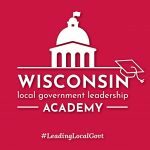 The Wisconsin Local Government Leadership Academy is made possible by a partnership of the University of Wisconsin-Extension, the Wisconsin Counties Association, and the Leadership Wisconsin Foundation. An EEO/AA employer, University of Wisconsin-Extension provides equal opportunities in employment and programming, including Title VI, Title IX, and the Americans with Disabilities Act (ADA) requirements. Requests for reasonable accommodations for disabilities or limitations should be made prior to the date of the program or activity for which it is needed. Please do so as early as possible prior to the program or activity so that proper arrangements can be made. Requests are kept confidential.